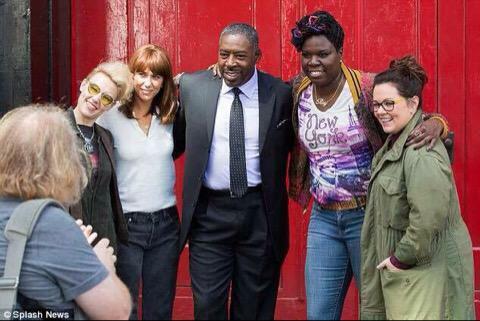 Principal shooting for the new Ghostbusters film has wrapped according to a recent tweet by director Paul Feig. Rumors are now circulating that we could see a trailer around Christmas this year. I began reporting about the film back in January 2015 on RD80s mainly through The Weekly Links each Friday which started with the announcement of the cast. As I commented in that post, I'm a huge fan of the franchise and the cast was the least of my worries with rebooting perhaps my favorite movie of all time. It's been nearly 9 months since reports, set photos, and rumors started flying across the internet and I'm here to tell you that I'm excited! I'll always treasure the original film as part of my '80s childhood, but from what I've learned so far, the new Ghostbusters will pretty much fulfill my wish list to see on screen. Here are 8 reasons why you should be excited too! The new film is NOT Ghostbusters 3. That might sound like a strange reason to be excited, but with the passing of Harold Ramis (Egon Spengler), I'm really against seeing the remaining aged characters in Ghostbusting gear. I'm definitely not against Akroyd's script (of which I have no details,) but any direct sequel needs to be entirely recast with younger actors because a new Egon simply can't happen. Original director Ivan Reitman is a producer. He was original scheduled to be the director but stepped down in March 2015 to just a producer role. What is notable to me was his statement to MTV in July that rebuffed all the peripheral rumors about other Ghostbusters movies and scripts saying "There is only one new Ghostbusters movie and that is the Paul Feig directed version coming next July, presently filming and going fantastically. The rest is just noise." 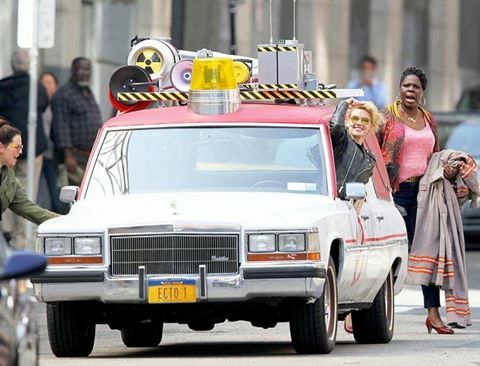 The new Ecto-1 is a rolling homage to the original film. One of the must-haves for me was a Ghostbusting vehicle. Ecto-1 is such an icon and I took a stab earlier this year at some possibilities should it appear in the new film. When I first saw it was going to be a 1984 Cadillac hearse, I was overjoyed at the nod to the original film's release year. Keeping it as a Cadillac I think was important as well. It looks so gaudy with it's square nose, the "roof junk", and huge revolving caution light that it just screams the original concept of Ecto-1. Jumpsuits, proton packs, and slime will all be used. Most people have already seen set pictures, so it's no surprise that the girls will use the same type of equipment and jumpsuits as the previous films. 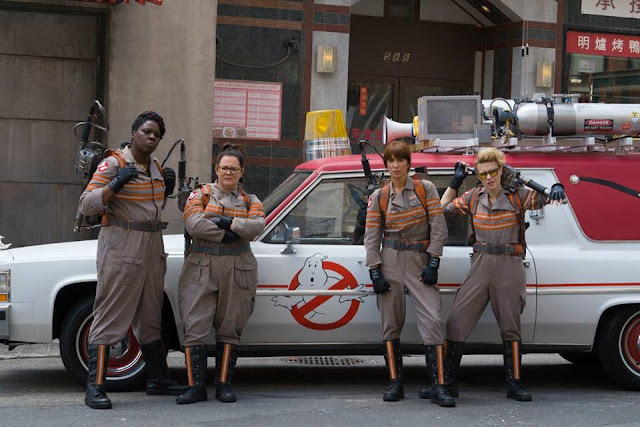 Paul Feig was also quick to include the essential material of the paranormal by tweeting a vial of slime just before shooting began and reportedly spending several hours testing for the right substance. The new film will be a PG-13 horror comedy just like the previous films. I found it interesting that Feig really wanted it to have an R rating in an early Slash Film interview. But the promise of it being scarier than the original and without the over-the-top swearing I think will be an ideal fit for the franchise. I would prefer having the comedy talent of the actor's shine throughout the film rather than just shock comedy. The Janine Melnitz character also got a gender switch. I thought it was great to bring in Chris Hemsworth (Thor) as the Janine character and give him somewhat of a role reversal from his normal "tough guy" movies. For me, these 8 reasons are the recipe for excitement leading up to the film's release on July 15, 2016. I'm eagerly anticipating the first trailer and hoping my last wish list item, the Ghostbusters theme, will be included. Let me know your thoughts on the movie in the comments. 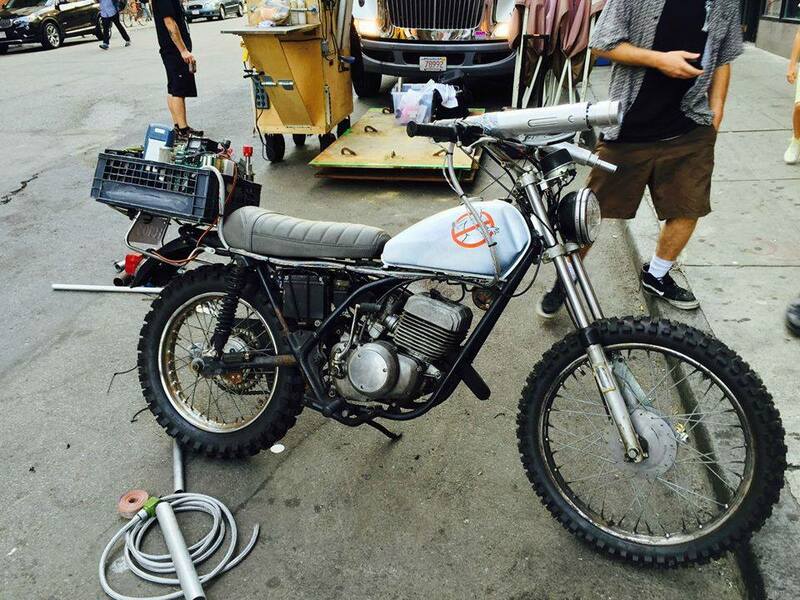 Images courtesy Ghostbsuters Germany and Ernie Hudson. Thanks also to Vulture for some info.